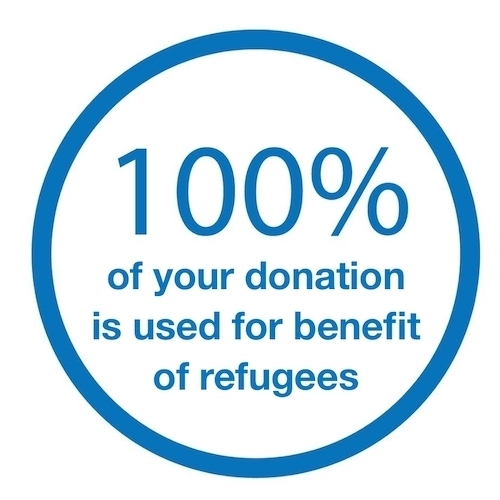 Give a gift to save life of the refugees today. Millions of refugees around the world live without adequate shelter, and the consequences can be profound: Denied a proper shelter, refugee families face risks to their health and safety. They are without a safe space to eat, to sleep, to store the few belongings they have, to come to terms with what has happened to them, or to begin restoring their lives. Protection is essential for refugee children and families. They fled their home from war and conflict with very little beloging. UNHCR works on the ground across the world to ensure that their lives are secured while they cannot return to homeland. We provide core-relief items which allow them to live with dignity.